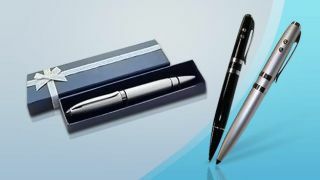 Today's deal combines the convenience of a writing pen with the handy addition of 32GB of USB storage. And at only £14.99 (a saving of 67%) it's also a novel gift that won't break the bank. This sleek little tool is compatible with most Windows and Mac operating systems, and supports USB 2.0 and 1.1.